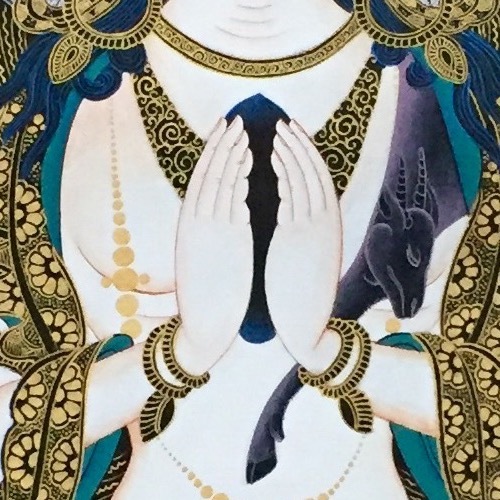 Start out this year cultivating a kind heart with guided meditations and discussions led by Karuna Cayton and Venerable Drimay for our 3rd annual Kind Heart Retreat. As a Buddhist monk, my concern extends to all members of the human family and, indeed, to all sentient beings who suffer. I believe all suffering is caused by ignorance. People inflict pain on others in the selfish pursuit of their happiness or satisfaction. Yet true happiness comes from a sense of brotherhood and sisterhood. We need to cultivate a universal responsibility for one another and the planet we share. Although I have found my own Buddhist religion helpful in generating love and compassion, even for those we consider our enemies, I am convinced that everyone can develop a good heart and a sense of universal responsibility with or without religion. What are the benefits of generating a kind heart? What does that mean? In this weekend retreat, we will look at the benefits of generating an attitude of kindness and the obstacles to doing so. By understanding the mental patterns that get in the way of kindness, we can learn how to develop more useful attitudes that lead to happiness for self and others. NOTE: Residential retreat options now closed. Commuter options still available. Karuna Cayton (LMFT, 1992) has been a student of Buddhist psychology and philosophy for over 40 years. A long time student of Lama Yeshe and Lama Zopa Rinpoche, he worked for the lamas at Kopan Monastery from 1975-1988. During that time he created and taught the secular studies program for the resident Tibetan and Nepali monks. 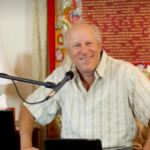 He also assisted in running the Buddhist programs for foreign visitors and was the co-founder and director of the city center in Kathmandu, Himalayan Yogic Institute. He has been on the FPMT Board of Directors since 1988. After returning to the US in 1988 he received his MA in Clinical Psychology from JFK University in 1992. He has worked at the Children’s Health Council at Stanford University and trained interns in Narrative Therapy at Mental Research Institute (MRI) in Palo Alto. Venerable Losang Drimay was born in California in 1960. She has a B.A. 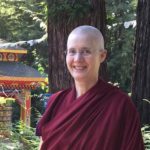 in Asian Studies and has traveled extensively in Asia, but actually met her Tibetan lamas here in the United States. 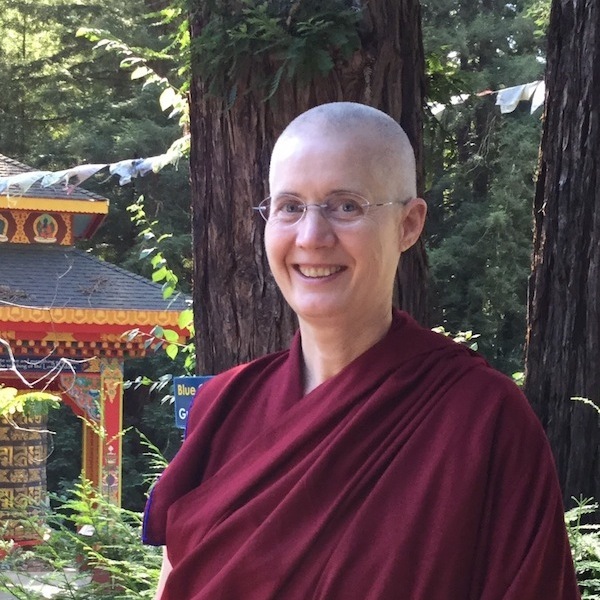 She has been studying, practicing and working with centers in the FPMT since 1984, receiving hundreds of hours of classroom instruction from the many qualified lamas and senior teachers that frequent our Dharma centers. Karuna will give presentations and Ven. Drimay will lead meditations and discussions. Your registration includes meals. Commuters get dinner on Friday and Saturday nights, and lunch on Saturday and Sunday. Residential retreaters get all meals, including breakfast, from Friday dinner through Sunday lunch. A deposit will hold your reservation; the balance is payable on arrival. Check in for overnight stay is 4pm.